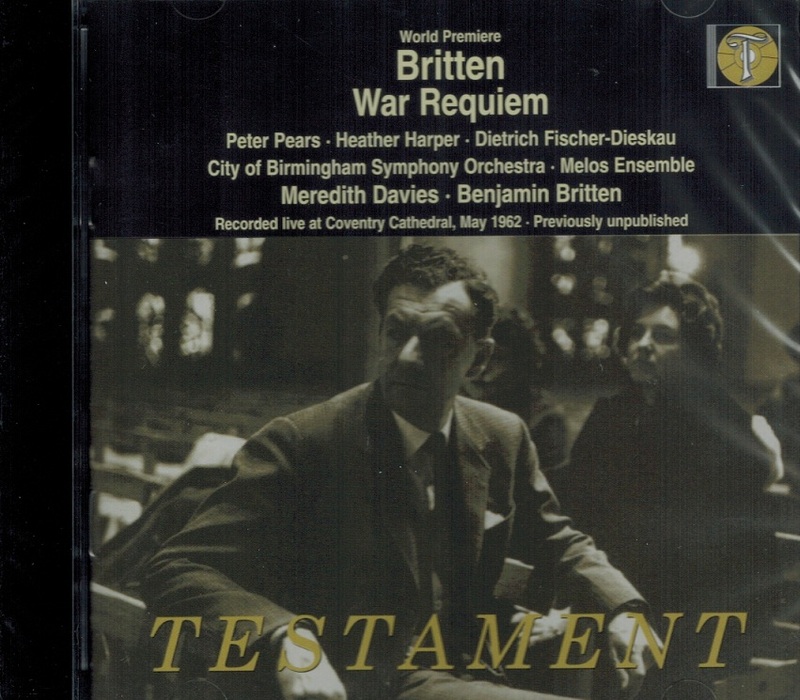 “Testament presents what will undoubtedly be hailed as one of the most important releases of the Britten centenary - the première performance of the WAR REQUIEM, recorded live in Coventry Cathedral in May of 1962. The performance is shattering, the sound, surprisingly clear and dynamic. 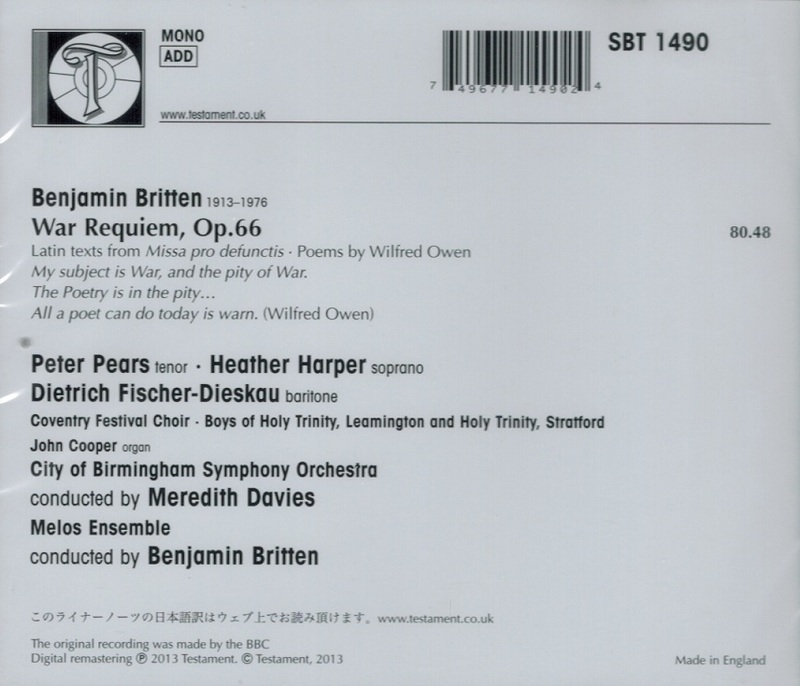 The deep emotion of Wilfred Owen's poetry is portrayed with a power and sincerity that has rarely - if ever - been matched in modern recordings. For the opening performance, it was intended that the soloists should be Galina Vishnevskaya (a Russian), Peter Pears (an Englishman) and Dietrich Fischer-Dieskau (a German), to demonstrate a spirit of unity. However, in an ironic twist, the USSR did not permit Vishnevskaya to travel to Coventry for the event. With only ten days' notice, Heather Harper stepped in and performed the soprano role brilliantly. ‘The first performance created an atmosphere of such intensity that by the end I was completely undone; I did not know where to hide my face. 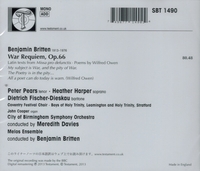 Dead friends and past suffering arose in my mind’, Fischer- Dieskau wrote in his autobiography of the WAR REQUIEM premiere. This recording is truly not one to be missed.